Committed to providing the South West Region of WA with quality aged care services. Support for residents who require high care or dementia specific services. PINT SIZED PLOTS HELPING PEOPLE LIVING WITH DEMENTIA An aged care home in Collie has found a new way to help people living with dementia. They're using therapeutic gardening, to reduce stress and anxiety, and instead of massive gardens, they've made some pint sized plots. 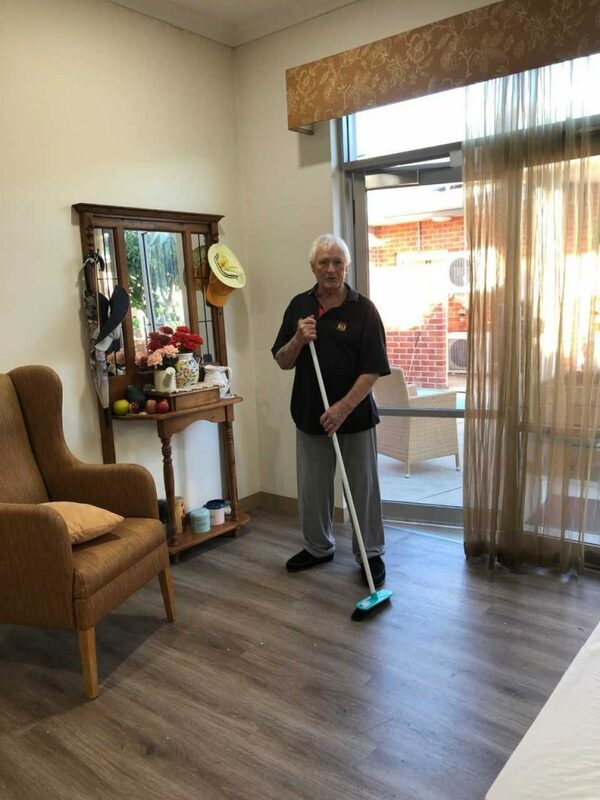 … has been recommended by Alzheimer’s WA who have assisted us in creating a real home style environment. We are now fully in the process of reviewing our structure and influencing our culture to facilitate a more traditional style of care. We have removed the “hospital Model” and are now all aiming for the same positive care outcomes related to our enabling model of care. This is to ensure we create meaningful connections with all our residents including our residents living with Dementia. Our staff are now wearing regular bright coloured tops and large black and white name badges so we can all respect each others name and adhere to our dynamic values of Dignity, Respect, Courtesy, Compassion and Comfort. Each of the four houses is supported by “Housemothers” who ensure the residents have true choice this includes having choice for their meals and when they would like to have them and have clean and comfortable lounge and dining areas that have a homestyle appearance and are more traditional. Our residents living with Dementia at ValleyView benefit from a homely décor, surrounded by familiar items of furniture, comfy seating and items that encourage engagement, enablement and employment with their personal belonging’s surrounding them, to ensure they feel happy and comfortable in their own environment. We also have enablers of Care in the evening whose sole role it is to engage and enable our residents. Our houses look like home and most importantly feel like home. Everyone who lives here has the freedom to choose how their day goes; when to wash, when to get up, when to eat and how to spend their day. We are working towards a Household life that is “normal,” yet full of new experiences and stimulating activities. We are proud of our changes and how we assist in providing individualised personalised care here at ValleyView. All our staff are hand chosen by our Executive Manger and our Care Manager to ensure they are aligned to our values. Management are knowledgeable and passionate about ensuring we provide the best care in a happy environment. We are keen to foster links with local people whom would be interested in supporting us in any capacity to create a positive ethos and reduce isolation and dis-engagement. Our new mission statement is to ensure that “All our services will provide the best quality care in a supportive environment relative to each person’s life journey”.